Description: Puts the "G" in OMGoGo… I think? Sometimes you just can't question the fashion choices of lyrical geniuses. 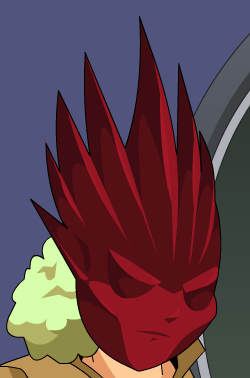 This helm is a parody of one of the Lady GaGa's costumes. Thanks to LLBALDWINLL and Vampiric.